The Federal Election Campaign Starts NOW! On Sunday, Stephen Harper confirms the start of an 11-week federal campaign. The longest federal election campaign in modern Canadian history and the most expensive. According to The Canadian Press, only Canada’s first two election campaigns were longer. The 1867 campaign lasted 81 days, while the 1872 campaign went for 96 days. The longest race in recent history was a 74-day campaign back in 1926. A long campaign is seen as benefiting the Conservatives, who are acknowledged to have the biggest war chest. During a typical 37-day election period, each party can spend a maximum of $25 million. For each additional day, that limit is increased by an extra $675,000, meaning an 11-week campaign would allow parties to spend more than $50 million. 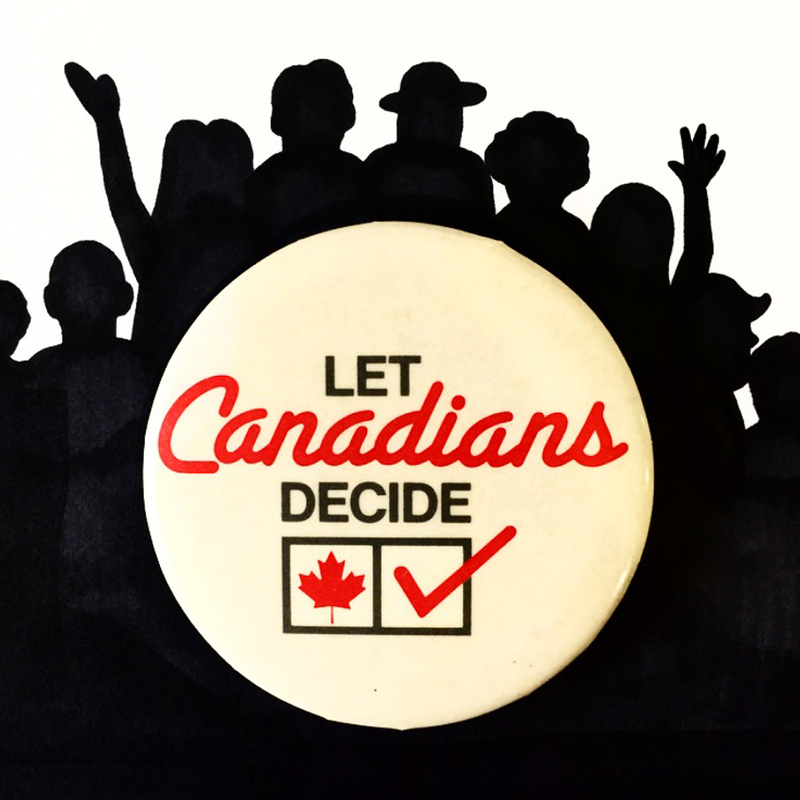 This vintage pin-back button from our collection was used by Elections Canada in the early 80’s to encourage Canadians to get out and vote.